Gourmands and health-conscious consumers alike have fallen for fish; last year per capita consumption in the United States hit an all-time high. Packed with nutrients and naturally low in fat, fish is the last animal we can still eat in good conscience. Or can we? 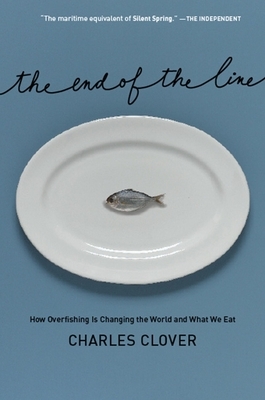 In this vivid, eye-opening book--first published in the UK to wide acclaim and now extensively revised for an American audience--environmental journalist Charles Clover argues that our passion for fish is unsustainable. Seventy-five percent of the world's fish stocks are now fully exploited or overfished; the most popular varieties risk extinction within the next few decades. Clover trawls the globe for answers, from Tokyo's sumptuous fish market to the heart of New England's fishing industry. He joins hardy sailors on high-tech boats, interviews top chefs whose menu selections can influence the fate of entire species, and examines the ineffective organizations charged with regulating the world's fisheries. Along the way he argues that governments as well as consumers can take steps to reverse this disturbing trend before it's too late. The price of a mouthwatering fillet of Chilean sea bass may seem outrageous, but The End of the Line shows its real cost to the ecosystem is far greater. Charles Clover is an award-winning journalist who has been the environment editor of the Daily Telegraph in London for eighteen years. He lives in Essex, England.